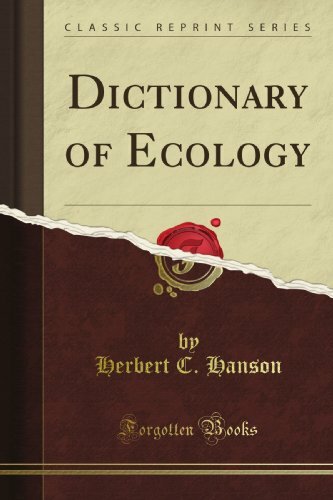 This practical dictionary is for the use of students, teachers, and investigators in ecology and related fields such as range management, forestry, wildlife, conservation, agronomy, and limnology. It is also designed for use by the general public for the better understanding of widely used ecological terms. The aim is not to define words with final fixity but rather to give clear, concise statements indicating present-day usage.